A beautifully sunny Spring morning in Tokyo’s Ueno Park – a moment that will probably stay with me for the rest of my life. I had awoken early out of excitement, and after spending around thirty minutes perusing the shelves of the supermarket next to my hostel in Asakusa trying to wrap my head around the mind-boggling selection of unidentifiable food, and understand what it was I was going to be eating for breakfast (all you can really do is guess if you can’t read Kanji), not wanting to waste any time, I decided to begin my explorations with a slice of nature amongst the urban sprawl. Spring is a wonderful time of year to visit Japan because in almost every park or garden you will find magnificent cherry blossoms. I had arrived a few days before the apex and they were not yet in bloom, save for a few trees, yet this made the atmosphere that much more electric for me due to the anticipation of things to come. The park was totally deserted as far as I could see, a fact that became more evident when I discovered a small temple hidden away down a sidepath. 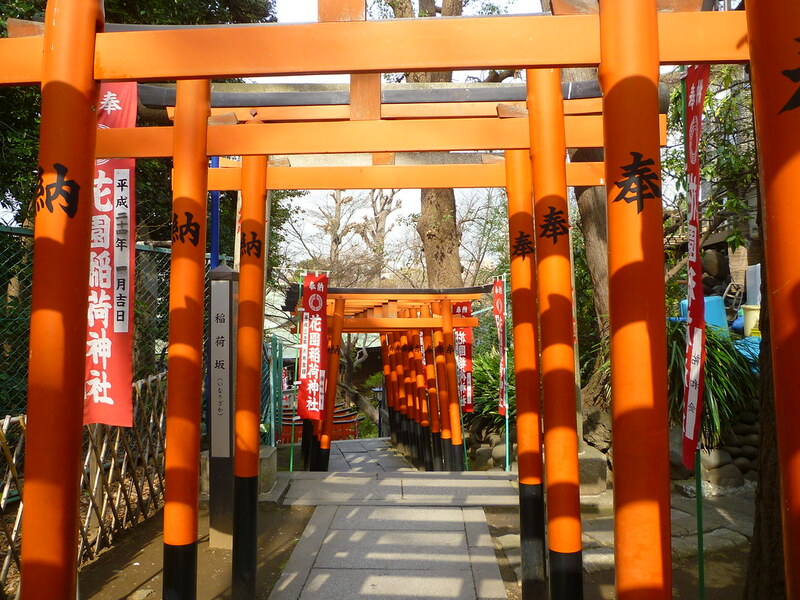 Being a 100% totally non-spiritual person, I was surprised by the feelings I experienced as I walked alone through the miniature orange Torii gates, it being my first encounter with them. A real sense of reverie washed over me (…or something like that). You will frequently find ‘Torii Gates’ like these at the entrances to many Shinto temples in Japan, to symbolically mark the transition from the profane to the sacred. I still don’t know why they’re orange but they sure do look fancy. 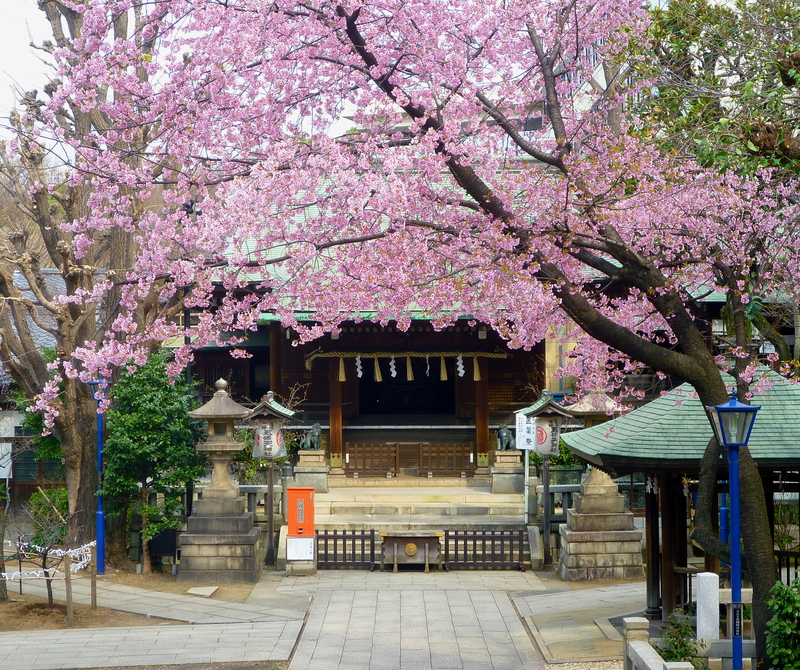 Upon reaching the end of the path, I entered a beautifully serene courtyard totally covered by a single glorious cherry blossom tree that had somehow managed to bloom before its neighbours. Then I realised I was not completely alone. A solitary man sat on the steps, seemingly oblivious to my intrusion. His eyes were closed and he was dressed in traditional clothing, so I assume he was a monk of the shrine. I silently sat down to absorb the ambience and watched him. Suddenly it occurred to me that I was actually in Japan. Ever since I was a child I had longed to come to East Asia, and now my dream had finally come true – it’s a great rare feeling that I am sure I will only experience a few times in my life. Although I did sadly experience the so-called ‘temple burn-out’ during my 1 month trip in Japan, due to exhaustion from the sheer number of temples and traditional buildings I visited, the first few times I encountered them I was incredibly enthralled. With architecture from the East Asia virtually non existent in Western life, the wooden materials and various artifacts and symbols you see in Shinto temples really fascinated me. However, at some point I decided it was time to break my ‘meditation’ (…or something like that) and left to explore the rest of the park. By now there were signs of activity. Joggers were jogging, elderly people were sauntering, and overly excited photographers were precociously taking photos of cherry trees of which the buds had barely even opened. Yes, if you come during the Spring, you will realise that Japanese people go bananas over their cherry blossoms (and a lot of other stuff, but we’ll get into that later). 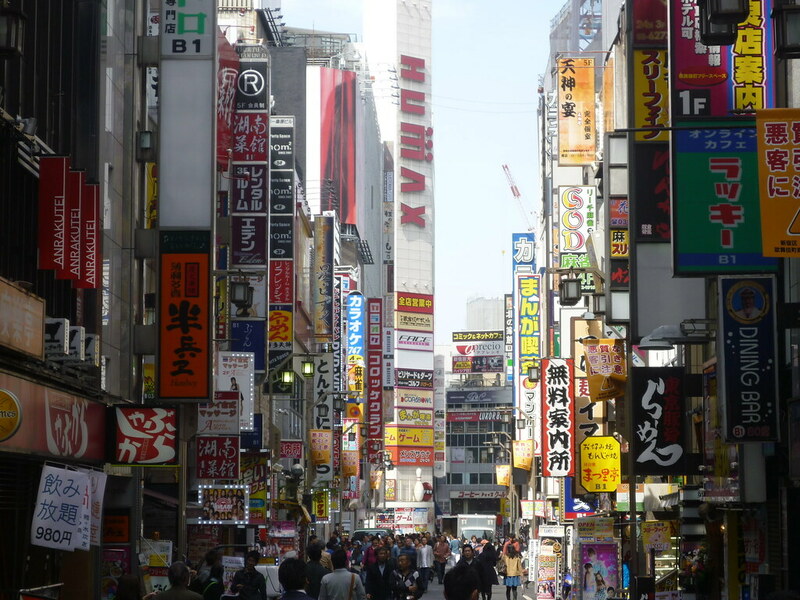 Although I had only been in Japan for one day and one morning, I had so far only seen the ‘small side’ of Tokyo. 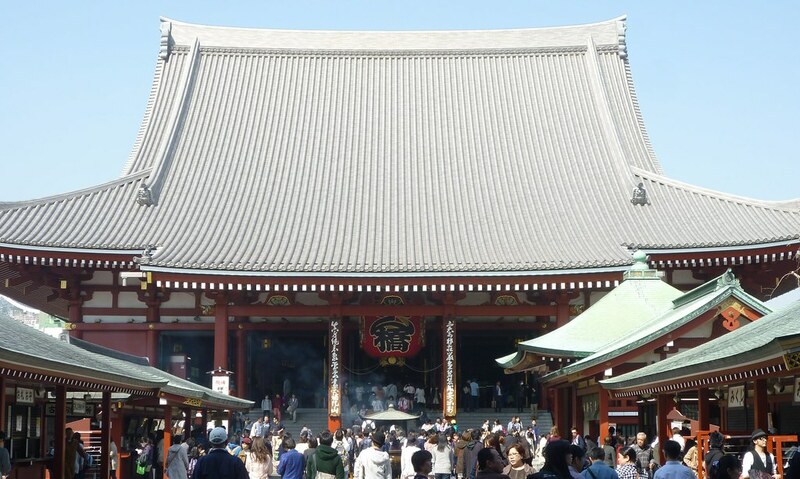 If you come and stay in a hostel, your first experience of Tokyo will likely be the traditional and older areas in and around Asakusa, home to Sensō-ji temple, a magnificent and very popular Buddhist temple. Sensō-ji is a world away from any kind of serene environment, but it was still one of my favourite sites in Tokyo. As you can see in the picture below, fake cherry blossoms line the streets because there is no room for any real cherry blossoms. 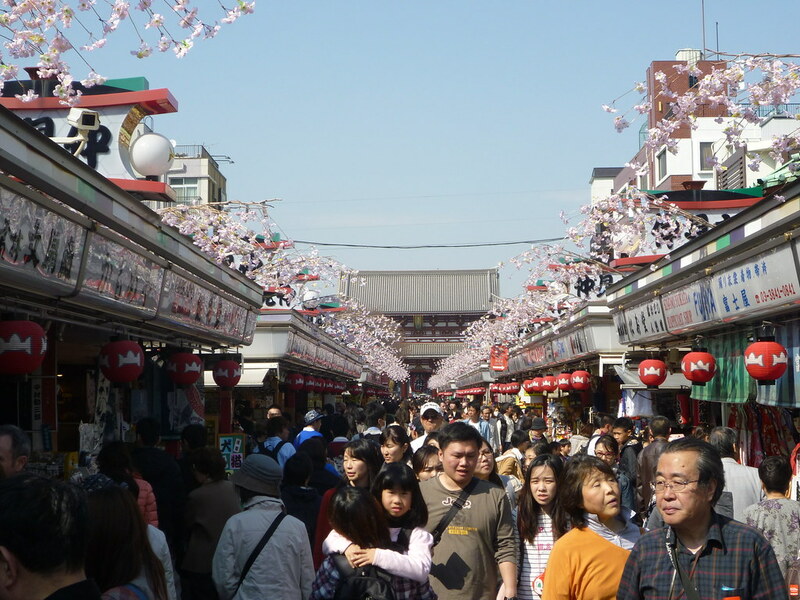 The main hub of Asakusa is a great place to get oriented in Japan due to the small pedestrianised streets filled with little gift shops and restaurants. I spent my entire first day in Japan confined to this little district, enthralled by the fact that everything you see is new and alien if you have never been to East Asia before. Whilst full of modern buildings, they are cleverly and tastefully melded with wood panelling and Japanese signs. One thing you will notice about Asakusa is that although you will always get glances in Japan if you look Western (in my case Caucasian) there are definitely a higher concentration of Westerners walking around the area compared to other parts of Tokyo. Indeed, once I left Asakusa for the first time and got on a train, I was the only Westerner in the carriage (incidentally, you better get used to being stared at in Japan if you don’t look Japanese, it happens a lot). It was now time to see ‘big’ Tokyo. And Tokyo is big. Very big. I really can’t emphasise this point enough. 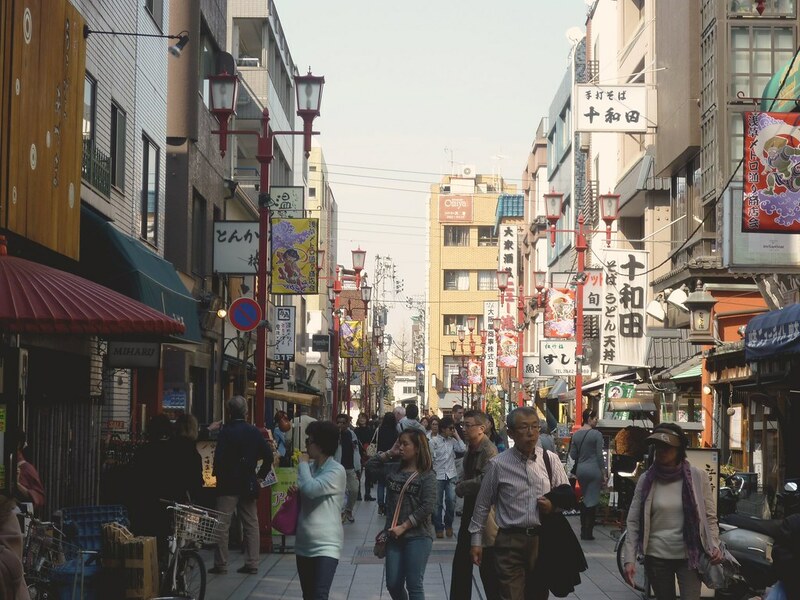 I come from London and felt like I came from a small little town once I realised how big Tokyo is, especially since I had not yet seen any of the many ‘separate city centres’ because my train had gone straight from Narita Airport to Asakusa. The first place I went was Shibuya, an area characterised by a lot of young, fashionable Japanese people buying lots of clothes. Also neon signs. 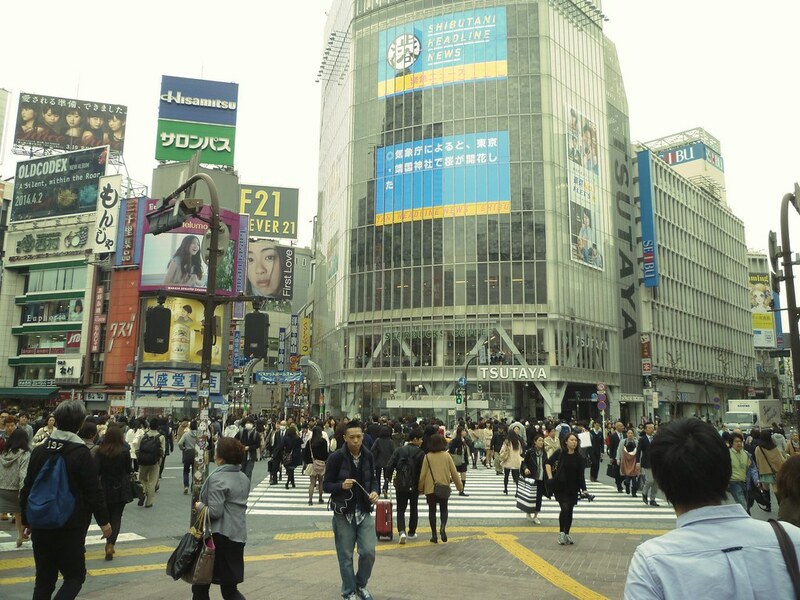 To be honest, Shibuya crossing was a slight let down, after the famous ‘busiest crossing in the world’ being emphasised in many a review, and also in that ‘highly accurate’ film about Tokyo, “Lost in Translation”. I thought it would be busier, but I guess coming from London I’m already used to highly congested areas. 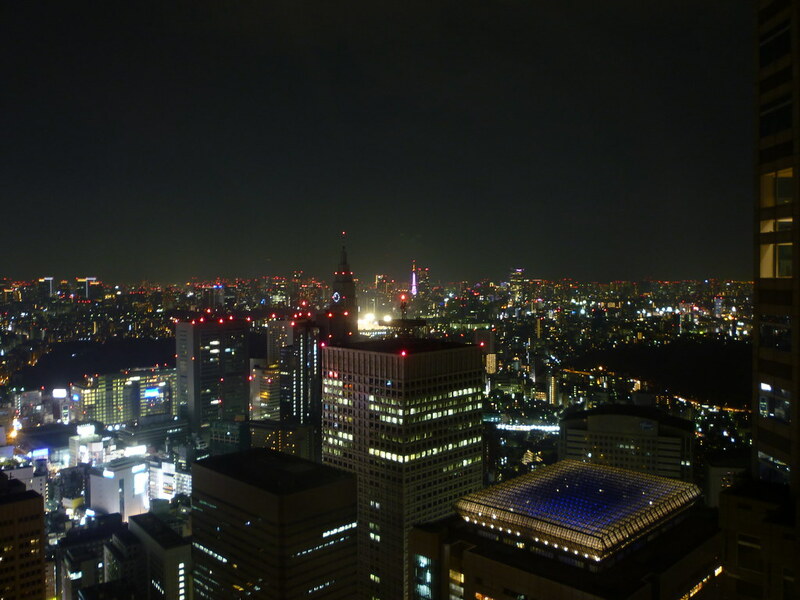 Next came Shinjuku, and here it was that I realised how big Tokyo really is, as I ascended to the free observation deck at the top floor of the Tokyo Metropolitan Building. After gaping at the superb view, I noticed that there isn’t really a conventional skyscraper ‘centre’ to Tokyo. There are clusters of skycrapers everywhere, making the city seem even larger and more complex. 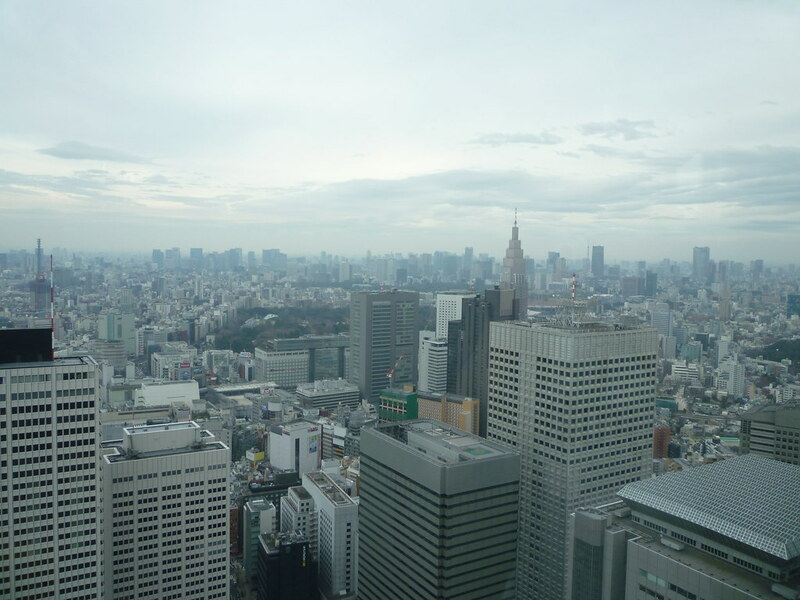 It’s staggering how many people live in the entire Tokyo Metropolitan Area: over 35 million in 2007 (a cursory glance at Wikipedia tells me), making it the most populated metropolitan area in the world, with a population density twice that of Bangladesh. Yeah, believe it or not, Tokyo does have an end at some point (I just could not see it in any direction that I looked). (I made the effort to come back to the same view at night because it’s just so cool). Obligatory Tokyo has lots of signs photo.